This is a short three-hour tour. 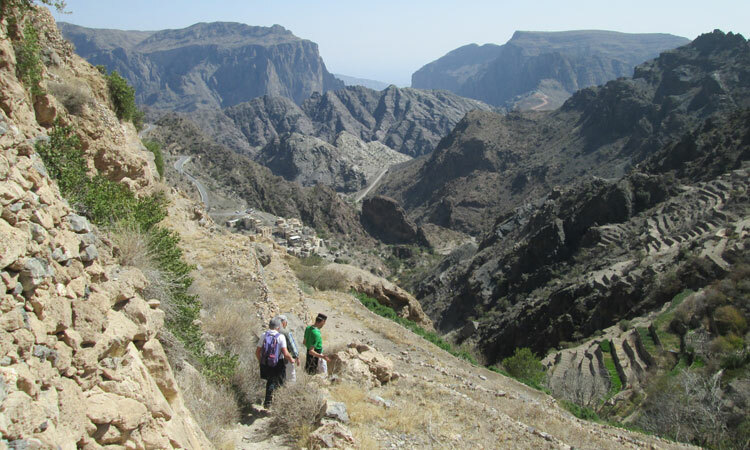 Post breakfast head down to down to Al Hamra where you meet up with the hiking guide. Drive up to Al Khatim in your personal vehical, where you will start walking with the hiking guide towards the abandoned village walk. 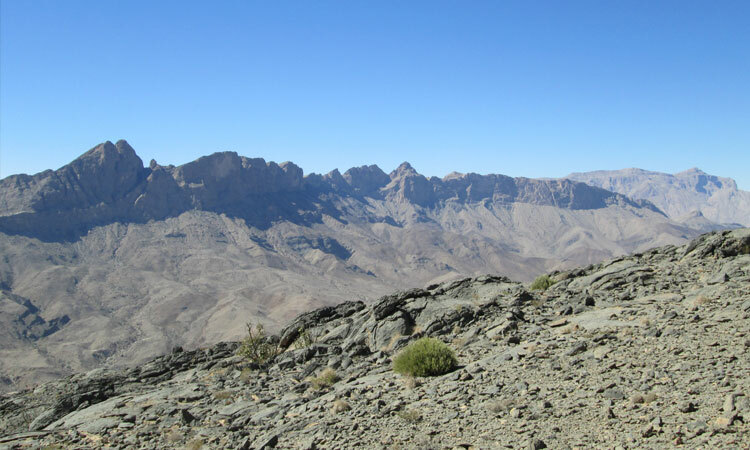 It’s a pleasant hike along the mountain paths and the group will eventually return to Khatim for lunch. Enjoy a serene picnic lunch in the shade of a quaint mountain hut near the village at a spot offering magnificent views of the surrounding valley. 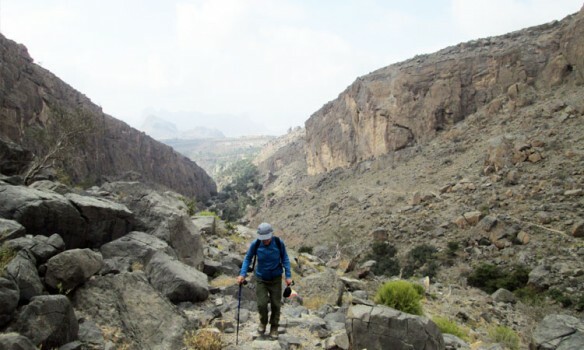 After an hours break the group continues hiking onward to into Wadi Ghul along with the hiking guide. The driver/guide in the meantime having driven down to Wadi Ghul will pick up the group from here where the hiking tour ends. 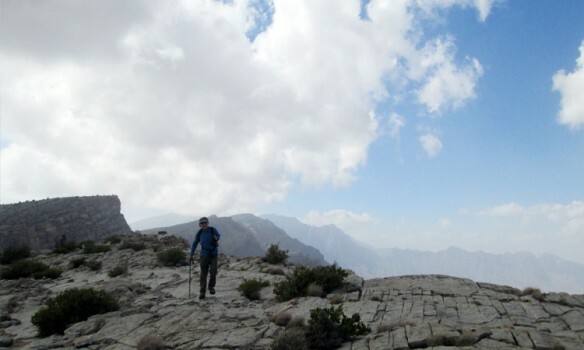 Return back to Al Hamra to dropoff the hiking guide and continue onwards to your destination. Pick Up / Drop: Kindly Note that for the above tours Pick-Up Drop facility can be arranged on request for an extra charge for an extra charge. 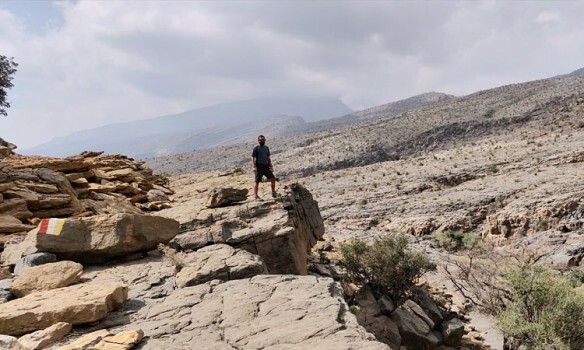 Hike along the Jebel Akhdhar from Al Aqur to Sayq. 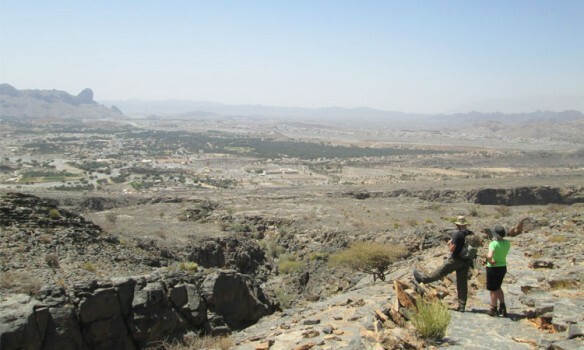 Hike down from Birkat Sharaf to Misfah Al Abriyin on this exciting mountain hike. Hike up to an abandoned village and walk along the Grand Canyon. The Heritage Hiking Tour takes us on an easy hiking trail through the foothills in Al Hamra. We will hike on easy paths and small trails, which are suitable for beginners also. A lush green oasis is our first stop on this hike. Here you will find a small green refuge of serenity with tall palm trees swaying along with the wind. 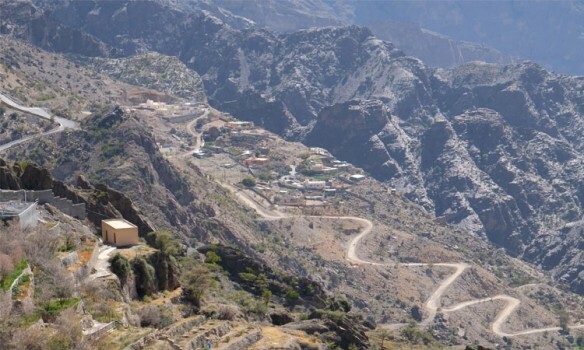 Next we visit the popular museum here to learn about the history of the place, after which we will continue on the popular well-demarcated hiking route up to the picturesque mountain village of Misfat Al Abriyeen, which lies hidden away in the hillside. The path there is steep at some parts but well worth the climb. When you reach the village lying at an altitude of almost thousand meters above sea level, you are guaranteed some truly spectacular views on reaching there. We start hiking on the eastern path where the route is fairly diverse with the path shifting suddenly from wide roads to narrow walking paths.